The International Society of Urological Pathology (ISUP) is the international professional organization for uropathology. Our aim is to issue guidelines for the practice of urological pathology and to provide educational activites for pathologists around the world. ISUP is a companion society of The United States and Canadian Academy of Pathology (USCAP) but aims to be a truly international society. We currently have more than 1400 members from 81 countries in 6 continents, but the distance between us is short with frequent email correspondence. Our main venue for society activities is the annual USCAP meeting, which is held in February or March in the US or Canada. 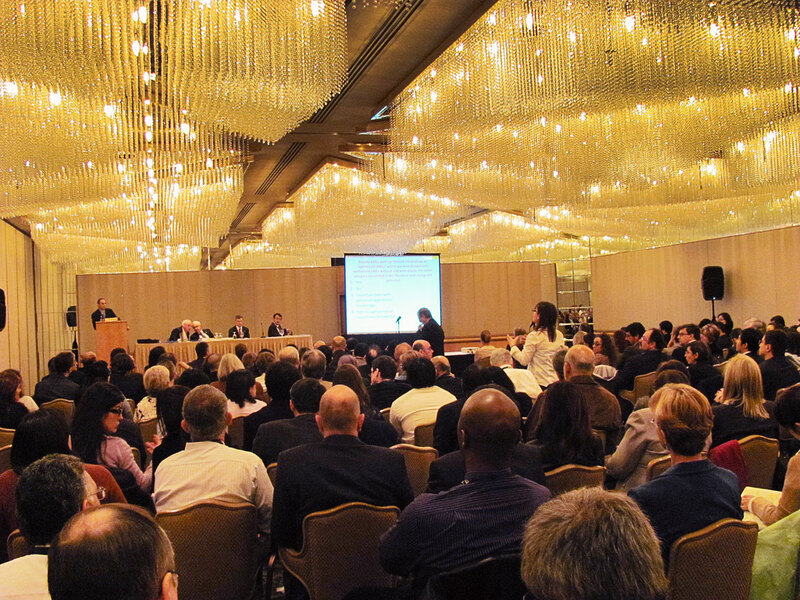 Our annual general meeting (AGM) takes place on the first day (Saturday) of the USCAP meeting. We also have a member reception the same day. This is a social event open for all members and is an excellent opportunity to meet uropathologists from around the world. We have organized a large number of consensus meetings over the past decade, usually held at the USCAP meeting. These meetings have great educational value and serve to set the standard for how urological pathology is practised. We are also involved in the uropathology program of other major pathology meetings around the world.